← Photographing and recording fish. 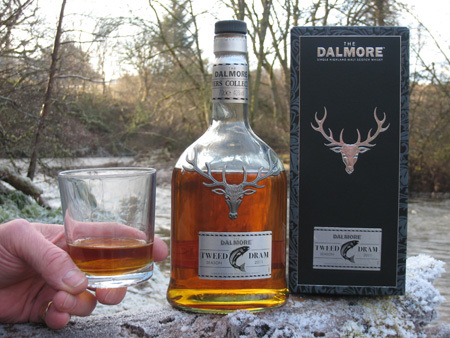 In recognition of the majestic river Tweed and its rich history, this unique and exclusive Dalmore has been created as part of a group of 4 whiskies to celebrate the 4 big rivers, Tweed, Tay, Dee and Spey. A donation from each bottle of Tweed Dram sold is gifted to the Tweed Foundation to support their excellent conservation work. This entry was posted in Uncategorized and tagged Angling, boatmen, dalmore, FishTweed, River Tweed, Tweed, Tweed Dram, Tweed Valley. Bookmark the permalink.